Beirut (AFP) - Turkish artillery on Saturday bombarded areas of Aleppo province in northern Syria controlled by Kurdish forces, the Syrian Observatory for Human Rights said. The monitoring group's head, Rami Abdel Rahman, said Turkish shelling struck areas of Aleppo, including Minnigh, recently taken by the Kurdish People's Protection Units (YPG) militia from Islamist rebels. Ankara considers the Syrian Kurdish Democratic Union Party (PYD) and its YPG militia to be branches of the Kurdistan Workers Party (PKK) which has waged a decades-long insurgency against the Turkish state. The shelling came shortly after Turkish Prime Minister Ahmet Davutoglu said Ankara would, if necessary, take military action against the PYD. A YPG source told AFP that the Turkish shelling targeted the strategic Minnigh military airport, which Kurdish forces retook late on Wednesday. "We can if necessary take the same measures in Syria as we took in Iraq and Qandil," Davutoglu said in a televised speech. The Turkish premier was referring to the relentless bombing campaign last year against PKK targets in northern Iraq on their Qandil mountain stronghold. 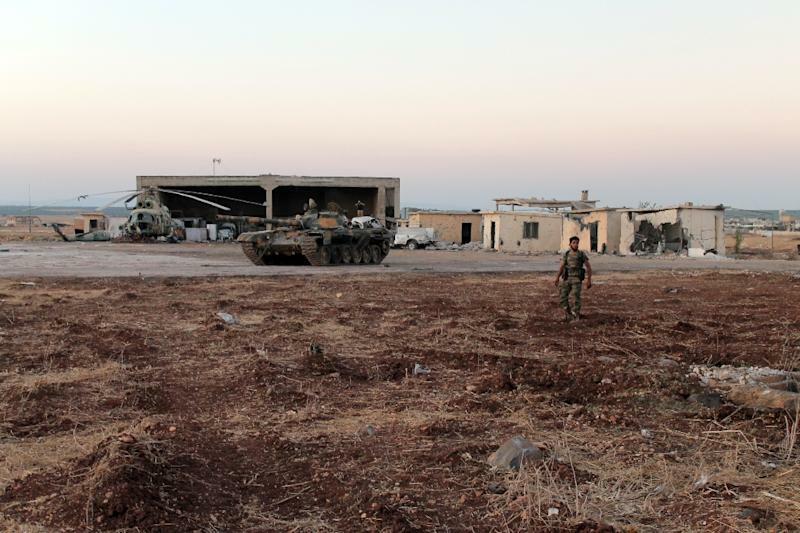 Abdel Rahman said the Minnigh base lies between two key roads leading from Aleppo city to Azaz to the north, which would have given Kurdish fighters a launching pad to attack jihadists further east. Syrian government forces lost control of Minnigh air base in August 2013, two years after the start of the conflict in Syria that has now killed more than 260,000 people and displaced millions.